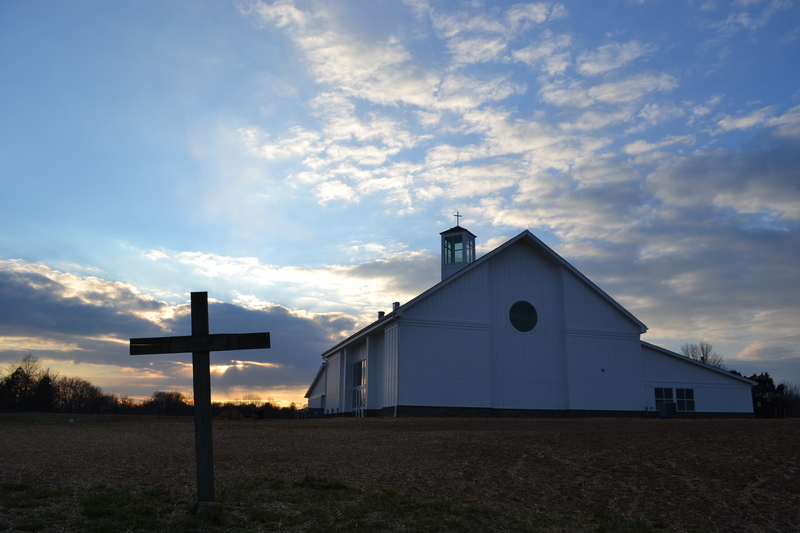 For quite some time, people have been praying and preparing for the planting of a new United Methodist Church in Leesburg. 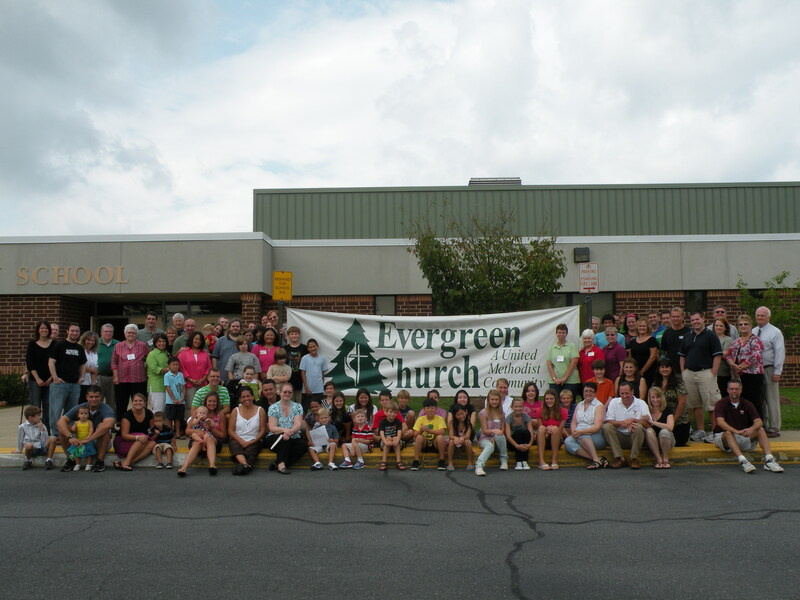 In August, 1999, “Evergreen” became the name of the 100th United Methodist congregation in the Winchester District. There was a name, along with 18 acres of land, and there was a great foundation laid in prayer, but there were no people… except in the mind of God. The name “Evergreen” comes from a seed planted by some who have long been in prayer for the new church. It germinated and sprang to life in the hearts and minds of the first members of the core group – those who have heard God’s call to be the first fruits of this work. In September 1999, many friends of Chip Giessler, the newly appointed pastor, were contacted throughout the world via e-mail, and the prayer circle widened. The last week of the month, cards were sent to 12,000 Leesburg homes, announcing the birth of the new work of God. On the weekend of October 2-3, 1999, seventy people, coming mostly from Winchester District United Methodist churches, went throughout Leesburg in teams of two, “sowing” invitations to some 1,700 homes. On October 17th at 10 am, the gym at Evergreen Mill Elementary School was ready to be a house of worship, thanks to the help of several “missionaries” from neighboring churches and other contacts. Worship began at 10:15, and by 11:00 there were 185 people present, including 45 under 7 years old. The children received loving attention and quality Christian education, while the adults were invited to focus on God and on who we are in God’s sight. It was a true worship celebration. “Evergreen” has a long history in this part of Loudoun County, and it has a growing geographical association for people who hear the name. Of course the best thing about the name is its spiritual allusion. While a familiar and attractive word to those unfamiliar with the Christian faith, it also has a subtle but profound connection to the eternal life that Jesus offers. Evergreen means ever-living. In August 2011, Evergreen moved to it’s second Sunday morning home, the beautiful new campus of Loudoun Country Day School, thanks to the invitation of Headmaster (and Evergreen member) Dr. Randy Hollister. These were great days in the church’s life, as new people continued to find a church home in Evergreen, and as plans progressed for the church to build a worship and ministry center on the property consecrated for that purpose. 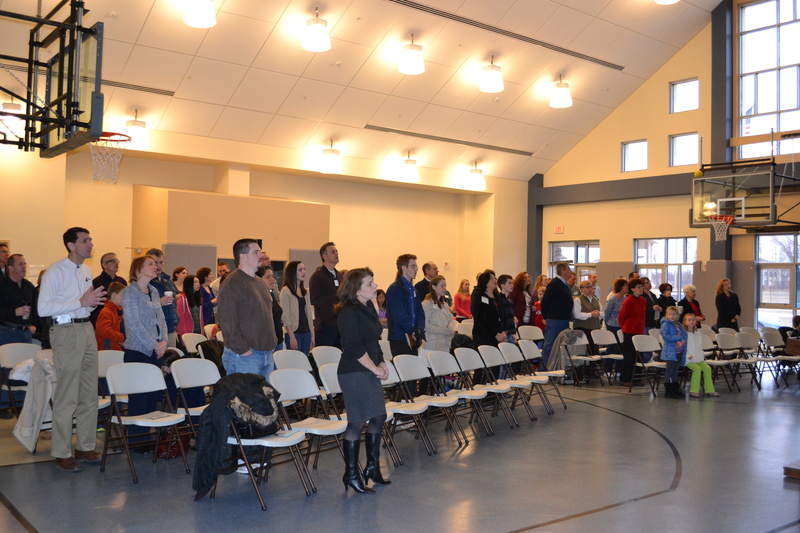 On March 10, 2013, Evergreen Church gathered to worship God in the new building for the first time! Evergreen Church has proven for 13+ years that the Church consists of God at work in a community of people, and that life-changing, Christ-centered experience with God does not absolutely require a building. Even so, the church looks forward to the blessing of offering invitation, ministry and worship with much greater availability now in our new home. Looking ahead: The church is also excited about the late 2013 opening of the independently owned Evergreen Sports Complex on the adjacent property. We see the recreational facility as a further asset for the well-being of the northern Virginia community. Evergreen Church is a place where people can grow spiritually, relationally, intellectually, and psychologically, and the Sports Complex will add a large dose of physical fitness to that as well.